Top 10 Markets and Neighborhoods: Buyers Trending Inland? There's been a shift in housing activity. Those coastal, tech hubs that sparked buyer interest in recent years are fleeing, making way for a new trend. Inland regions are making a comeback, attracting a young workforce that's looking for affordability and plenty of opportunity. Which cities are bound for a boost in real estate activity? 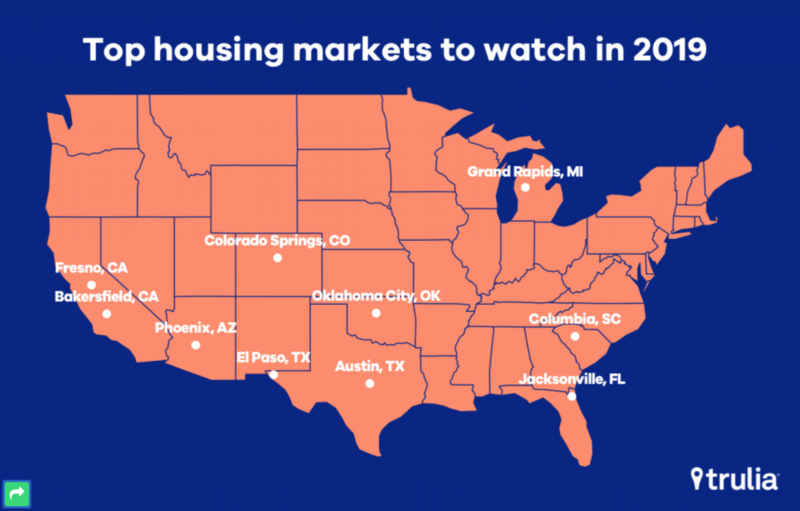 According to Trulia's recent report, the top housing markets and neighborhoods to watch in 2019 all share a common theme—high rankings based on five key metrics: job growth, vacancy rates, good starter-home affordability, inbound vs. outbound home search ratio on Trulia and a high population of first-time homebuyers. 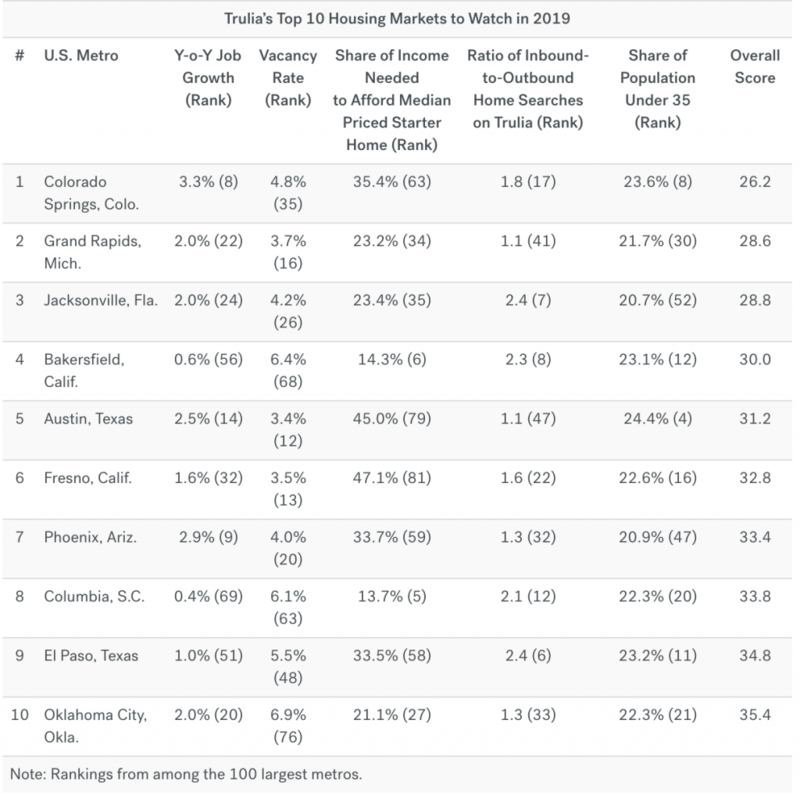 In terms of neighborhood popularity, Trulia looked at how fast price appreciates in these markets and their median days on market, as well as drops in days on market. "There are markets that are relatively close to places that are extremely expensive, but far enough that they can sustain themselves with the amenities that they have," says Cheryl Young, senior economist at Trulia. "They have robust job growth on their own, and can appeal to people looking for first-time homes, because of their relative affordability to these expensive markets."